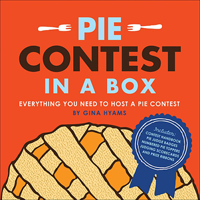 cookbook/product review: Pie Contest in a Box by Gina Hyams ...and Pie Dreams for a Pie Party! Unique or Cool Features: Ummm...it's called "Pie Contest in a Box"...that in and of itself is pretty unique. Everything you need to host a pie contest for up to 12 pies is contained in this little 6" x 6" box. From the Pie Handbook which "orients judges to the history of pie, discusses why pie matters, outlines different categories of pie and official judging criteria"...as well as containing some prize-winning recipes to Judging Badges, Numbered Pie Toppers, Scorecards, and of course Prize Ribbons. (a few of the) Recipes Destined for my Kitchen: While this is more of a "kit"...a little cookbook is included in the box. It houses some award-winning recipes that I'd love to try, such as: Bourbon Ginger Pecan Pie, Fresh Peach Pie, Lemon Swirl Cream Cheese Pie, Sweet Applewood-Smoked Bacon Apple Pie, Chicken Pie. My Thoughts/Review: So fun! I've always been a pie-kinda girl, so this is right up my alley. I think it'd be awesome to throw a Waitress -type party with a bunch of friends and turn it into a contest using this "box" of goodies! As a matter of fact, that is exactly what I'm tucking my box aside to do. Anybody live close and want to join me? So, if you love pie...and parties...and contests...I think this is a fabulous kit to get you started. 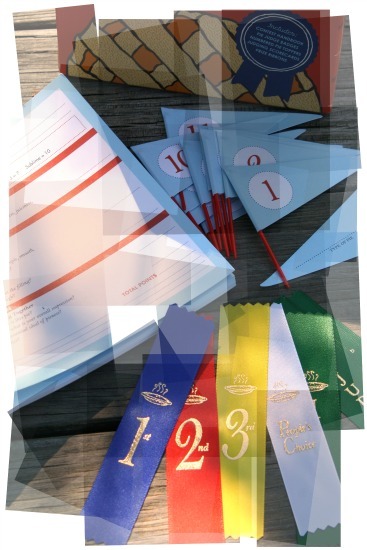 While you may run out of supplies after holding your contest, you can make copies of the judging sheets for future endeavors and surely get a bit creative to make similar pie toppers and ribbons (go ahead, channel your inner Martha Stewart). I think this is a great idea for a cookbook/product. Speaking of parties...hows about putting this to use during today's Pie Party!? That's right...there's a giant Pie Party going on today on Facebook, so go on over for mouthwatering ideas for your next Pie Contest! Personally, I'm counting the days until the Concord Grapes are ready so that I can make my yearly Grape Pie! Pie party sounds wonderful idea. concord grapes pie looks fabulous. waiting for this summer edition of grape pie. Grape pie! What fun that is! I love the idea a throwing a Waitress party, how fun! 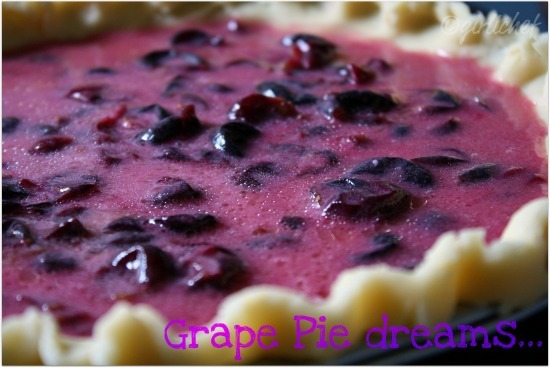 And your grape pie looks amazing I will have to try it! What a cute book idea! I've never thought of hosting a pie contest, but I think this is a super creative read. Thanks for sharing! A pie party is the perfect party! The Pie Party idea has gotten a huge response. After all, who doesn't love a good pie? What fun. I opened up my box and am looking through the book for a pie recipe that doesn't involve me having to make pie crust. ;-) It is a fun idea--I just need a set of friends who would make pies here!